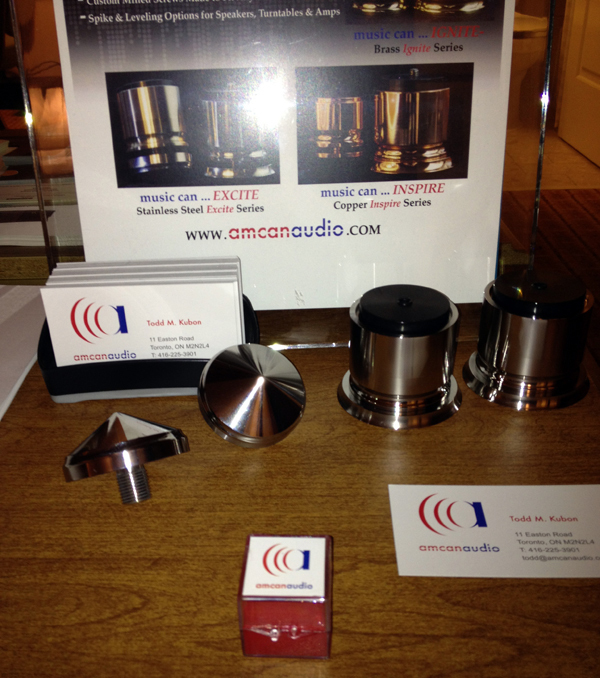 This is my first post as I hope to chronicle my venture into the audio industry. While developing my original series of isolators known as tkubon footers I made several friends along the way on the Canadian Audio Mart and Lenco Heaven websites. 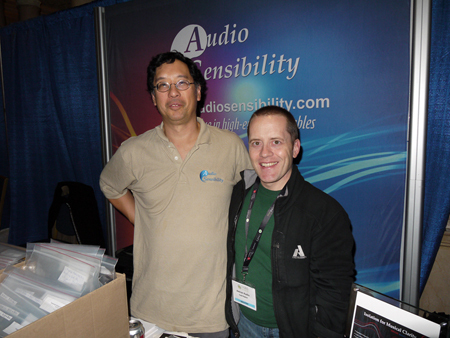 One of those friends Scott, a Moderator on Lenco Heaven, was kind enough to ask me to supply isolators for the Saskia Room at the RMAF this year as he was helping Win to set up the room. As I have spent the better part of 2013 developing my new product line I figured that this was a great time to launch my new website and commercial offerings. As you can see in this picture here those tiny bright spots under the rack are my footers. Yeah! Thanks Scott for this great picture. The next picture is even better as it shows that my product were prominently displayed as physically close to the toilet as possible without throwing them in. 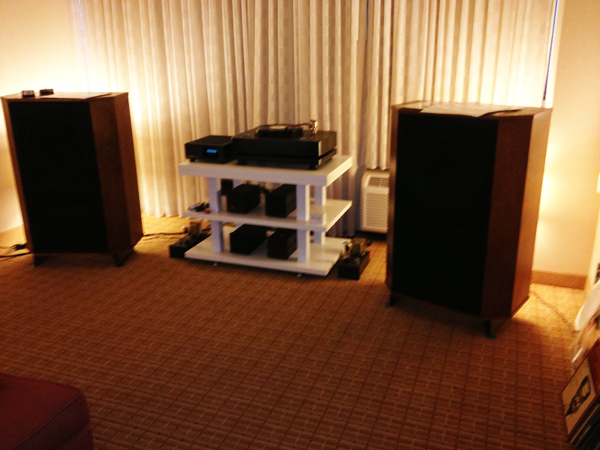 Win was happy with the set up upon their initial listening tests and with little time to experiment, my footers were not used to their fullest potential. All kidding aside I was honored to be a part of the Saskia Room at the RMAF even if my footers only made it under the supporting table. What a tremendous way to launch a new audio company. Looking forward to more opportunities to come! This entry was posted in Audio Shows on October 18, 2013 by admin.